Lesley A. Diehl used to be a professor of psychology and university administrator, but when she retired, something more enticing called to her—murder. Raised on a farm in Illinois, Lesley now lives in a small cottage in the Butternut River Valley in upstate New York and in the winter she migrates to rural Florida. While she spends a lot of her time writing, she is not always bent over her computer – she gardens, cooks and is renovating her 1874 cottage with the help of her husband, two cats and her resident ghost, Fred, who gives artistic direction to the work. 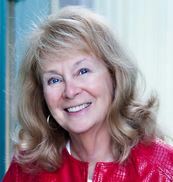 Lesley is the author of several short stories and a number of mystery series including the microbrewing series (A Deadly Draught; Poisoned Pairings), a rural Florida mystery series (Dumpster Dying; Grilled, Chilled and Killed),and A Secondhand Murder, the first in The Eve Appel mystery series. 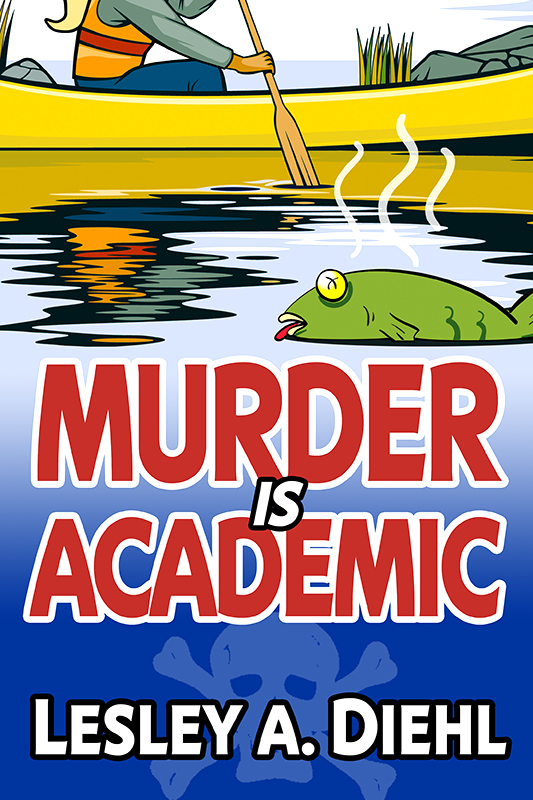 I am thrilled to have Lesley here today with a guest post and be sure to leave a comment for a chance to win a Kindle copy of MURDER IS ACADEMIC. Welcome, Lesley. Readers sometimes ask me where I get my ideas from. For some of my books the ideas arise out of situations I encounter. My microbrewing series came about when I toured a local microbrewery where our guide took us past a room with an open fermenting tank and informed us we couldn’t go in there because the yeast gave off carbon dioxide. My response to this information was to ask, “Could you kill someone in there?” And then I went on to write a scene where one of the workers was locked in just such a room. He survived, but I’d already killed someone else in the beginning of the book. For my books set in rural Florida, alligators, cowboys, swamps and hurricanes define the area, so my protagonists must deal with all these, whether it’s doing a two-step with a handsome cowboy in a local bar or encountering an alligator on a picnic. Murder Is Academic is based upon my career experiences (the first one, before I became a writer). I was a professor of psychology for over twenty-five years and retired early to move with my husband to New Mexico. I missed being with students. I do believe they kept me young, and life surrounded by them is never dull. The book features a protagonist, Dr. Laura Murphy, who is very like me back when I juggled classroom instruction with research. She is dedicated to her teaching and to her research, which, like me, she accomplishes in collaboration with her students. And then, of course, murder and a bit of passion enter the picture. Laura falls for a road construction worker who rides a motorcycle. What could be further from her experience? Far from her world, yes, but since my hubby also rides, I understand the lure of the road on a bike. Laura is not me, however. She is younger, prettier, more adventuresome, nosier, more passionate about everything and filled with a know-it-all attitude that will be challenged as she tries to help her detective friend solve the murder of her college’s president. Some readers may say I am too tough on college administrators (hey, I only killed one of them in my book! ), but I have been one myself, so I know what the life of a dean or a vice president is like. And, to be fair, I don’t only kill off the president in the book, I take out faculty too. This is an equal opportunity murder mystery. It would be unfair to say I dislike administrators in general. I’ve met some quite competent ones, people I’d never think of killing in real life or in a book, people who are dedicated to their work and suffer with dignity the incompetence of their bosses. Administrators have bosses. Faculty have department chairs, who can be ignored most of the time and who, if they identify with administrators are seen as traitors and spies by the faculty, but if they identify with faculty are seen as incompetent and untrustworthy by administrators. Not always is this true, but often enough that the chasm between the two reminds me of what’s happening in our congress. If I seem conflicted on the issue of who’s the good or bad guy, the faulty or the administration, it’s because I can see both sides. And I created Laura to see both sides also. That’s often what gets her into hot water. It’s within this political microcosm that murder is committed, not once but twice. Laura is just the gal to find the killer…at some danger to herself. If it sounds like I’m happy to be out of academe, that’s only partially true also. I still have dreams of being in the classroom, delivering a lecture on some topic in developmental psychology. And the lecture is one of my best! Of course, I also have dreams about my department chair castigating me for failing to show up for my class the entire semester. That’s a stress dream if ever there was one, and something I never did. I am happy to be writing about my former career in academe. I think it’s a particularly rich area and makes a fine setting for a murder especially if you have someone as nosy and savvy as Laura to track down the killer. Having spent all of my career in academic settings ( except the last four years), I’m intrigued by this one. Looking forward to reading it! Thanks for the giveaway and the review! Thanks so much for having me on your blog. I hope those of you who have been in academe will agree I’ve captured the essence of politics in higher ed. For others, Laura and her friends should teach you that there’s very little difference between life on the college campus and off it. Lesley, as a fellow academic and mystery writer, congrats! From the reviewer’s comments, it appears that you have pushed the traditional cozy boundaries a bit. I like that, and hope to see more in the series. Looking forward to the book. I’ve worked in an academic library for years and have friends who have been both faculty and administrators. Should be interesting. Am I correct in thinking that Fred has good taste in decorating? How does he communicate his preferences to you? Fred seems to be very sanguine about the decorating issue. He has never commented on my choice of paint colors or on my furniture selection. However, when I rearranged the living room recently I think he was the one responsible for hiding a key part of my vacuum cleaner! Bumping off a faculty member should balance the murders out, don’t you think? thank you for your good wishes for the book. I have pushed the cozy mystery borders, Susan, and I appreciate your applauding my sass in doing so. I’m creating a new cozy mystery category called “spicy cozy mystery”. I’m pretty sure that by trying to see both sides (administration and faculty) that I’ve offended both, but I’ve done it with a sense of humor. Lesley, I’m faculty and have been a senior administrator (+ 5 years in Student Services). I’d like to think there are enough intelligent readers all across campus who will appreciate your work. As for those who might be offended, maybe we can add “how to laugh at ourselves” to the professional development schedule! Keep writing the spicy stuff! Good idea, Susan. I could come in to do a seminar on laughing at oneself and bring my book along as required reading. Those who didn’t find it funny would be required to do remedial work! I look forward to reading your new book, Murder Is Academic. Sounds great. When you spoke of touring the microbrewery, it reminded me of an incident from my childhood. My Brownie troop was touring the local Wonder Bread bakery. Their proofing room had huge vats of dough rising. Because of the huge amounts of carbon dioxide being given off, and the fact that I have asthma, I had to be taken out because I couldn’t breathe. I was gasping for air. You certainly know what I’m talking about when I talk about all that carbon dioxide. Stay out of microbrewries with open fermenting tanks then! Looks like another good book. Can’t wait to read. Let me know what you think when you finish the book. Thanks for visting the blog. You are the second psychologist, turned mystery writer, that I have heard of. Maureen Jennings is too, I believe. Thank you for the giveaway. Thanks for the information about Maureen. I’m going to check out her books. I hope you find the book entertaining and fun. I’m planning to have Laura in yet another book soon, so the fun should continue. Taht book is entitled Failure is Fatal and should be out next year. I enjoy mysteries in an academic setting. Hope to win this book so I can read it.